Book your stay today to sunbathe like a starlet at Grace Kelly Beach in Newport. After the great hurricane of 1938, the waters of Castle Hill beach and cove became one, famously cutting the peninsula off from the mainland. An intimate coastal beauty, the arc of white sandy beach in Newport surrounded by calm waters has called generations of families and guests to its shore for annual summer retreats. Today, Castle Hill is Newport’s only luxury inn boasting private beach accommodations. The majestic coastline offers quintessential New England rock formations and magical sunsets, making it the perfect locale for splashing in the surf or to relax in peaceful contemplation. 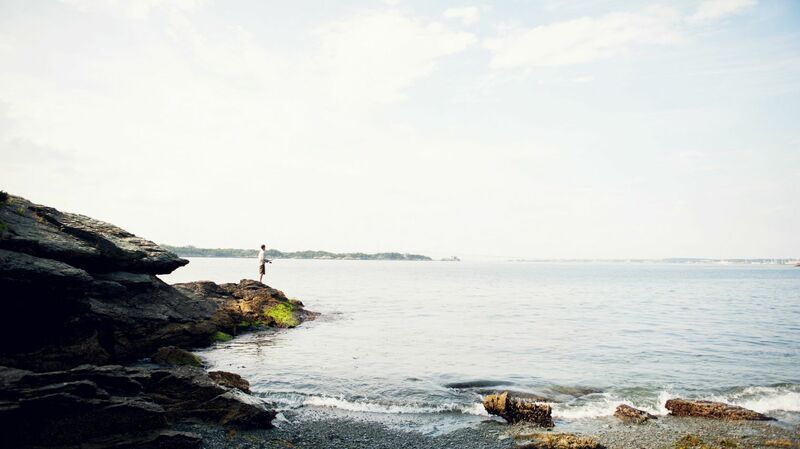 Visit this beautiful beach in Newport, RI when you stay at Castle Hill Inn and book your stay today.